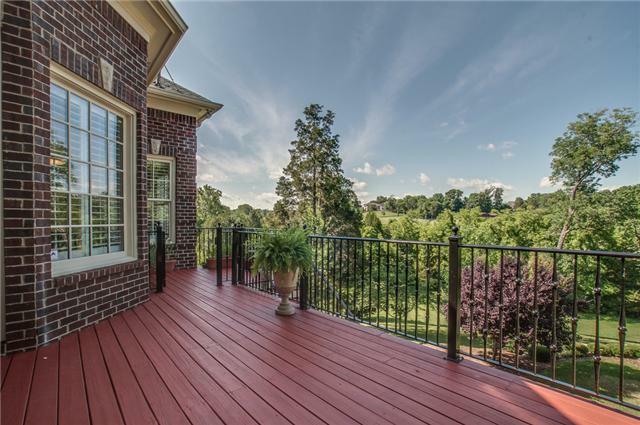 Take part in Tennessee’s lush beauty both inside and out at 12 Crooked Stick Lane, hidden on a cul-de-sac in the prestigious Governors Club. 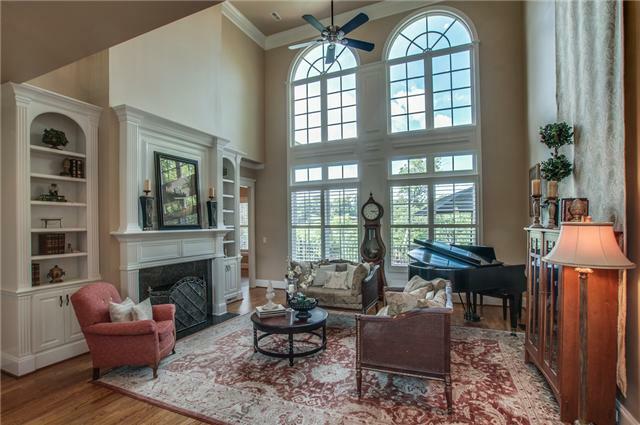 This spacious dream home is listed by Marty Warren of Fridrich & Clark for $975,000. Built in 2000, the three-story, five-bedroom home comes with all the benefits of a well-populated area with all the renewing qualities of a forest retreat. 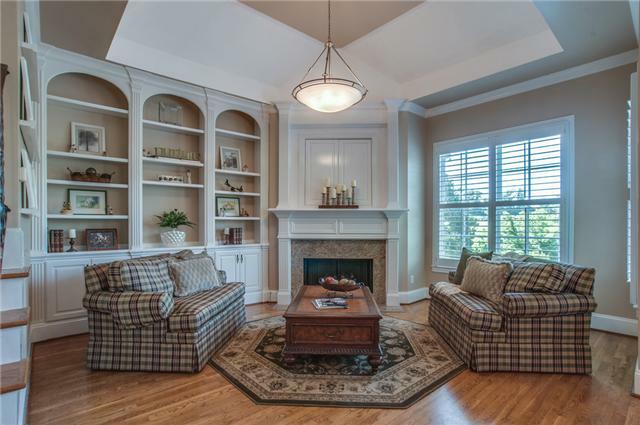 Take part in Tennessee’s lush beauty both inside and out at 12 Crooked Stick Lane, hidden on a cul-de-sac in the prestigious Governors Club. 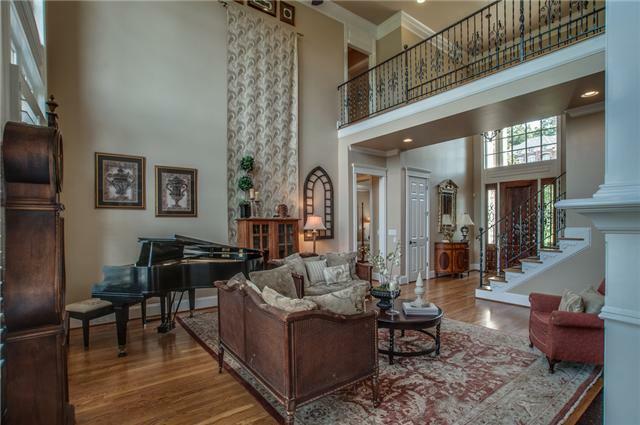 This spacious dream home is listed by Marty Warren of Fridrich & Clark for $975,000. Built in 2000, the three-story, five-bedroom home comes with all the benefits of a well-populated area with all the renewing qualities of a forest retreat. The 6,000-square-foot home features a 1,200-square-foot basement. 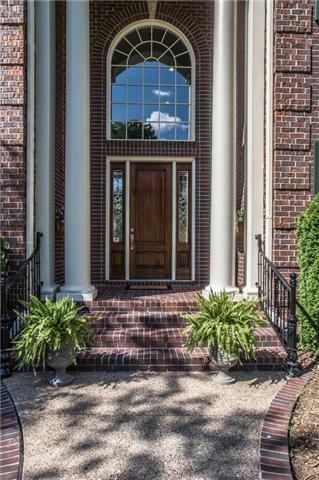 Built in traditional Georgian style,e the views from the two-story windows in the living room are breathtaking as you admire the beauty of Williamson County. The main living space has hardwood floors and beckons you to enjoy a meal with friends in the spacious kitchen. A large curved island provides plenty of raised bar seating space, while the open-concept area opens to the breakfast area and cozy gathering room complete with a beautiful fireplace and built-in bookshelves. Granite counter tops, a six-eye gas stove top and double ovens provide all the tools for entertaining a crowd or cooking for the family. The space also has a dedicated kitchen desk/work area and back stairs to the living quarters above. 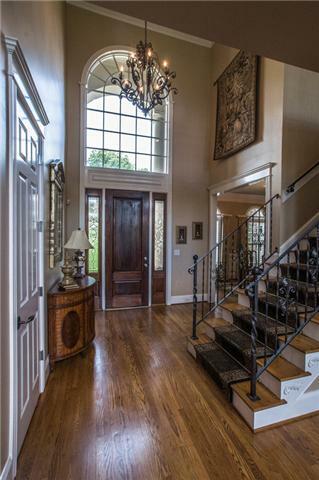 The formal areas have trey ceilings, custom moldings and the aforementioned view from the living room. A formal fireplace with built-ins vies with the view as the room’s focal point, however, they don’t compete in the perfectlye proportioned room. 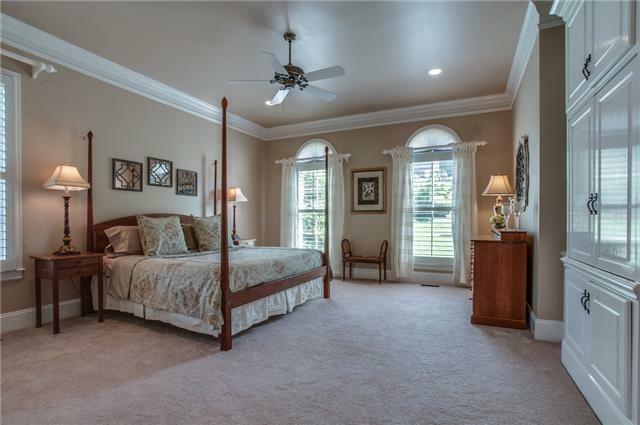 The expansive master suite has floor-to-ceiling windows and is decorated in soothing neutrals. The master bath features a soaking tub and separate glass shower and granite-topped vanity. 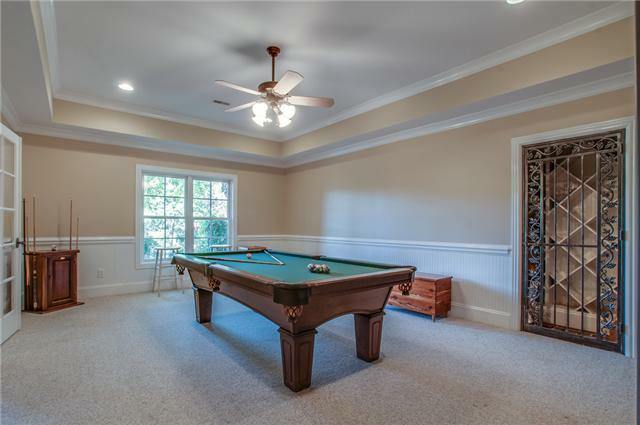 There are plenty of places to relax and entertain throughout the home, including the huge second floor rec room and basement level game room and bar room, that has access to the wonderful back yard. You’ll find a wine cellar, a wet bar and a quiet cove for curling up under a blanket and watching your favorite movie. The space is large enough for billiards or your own personal theater. Outdoors, the living spaces continue. The large, second story back deck is large enough to handle a crowd, while the stone patio beneath provides a great place to grill out and relax in the shade.e you at the beauty you observe as you watch your children or grandchildren run in the yard, weaving throughout the many trees on your one of a kind property. Step onto the stone patio to grill out and enjoy an outdoor meal on a beautiful, Tennessee evening. The landscaped lot appears much larger than its .65 acres, especially the private back yard. 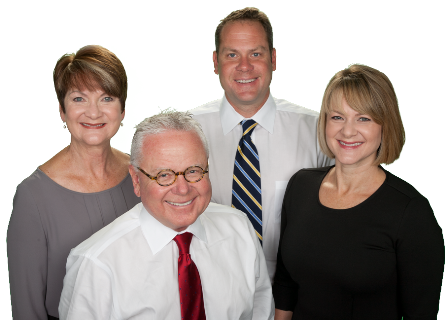 The home at 12 Crooked Stick Lane is zoned for Crockett Elementary, Woodland Middle School and Ravenwood High School. 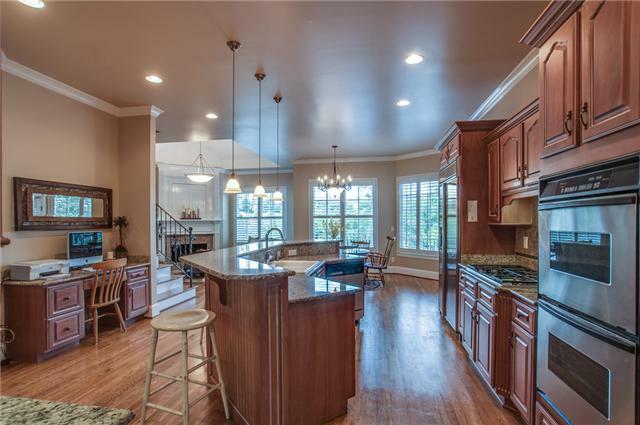 To see this property in person, call Marty Warren of Fridrich & Clark Realty today, (615) 263-4800; fridrichandclark.com. Click here to view the full property listing.